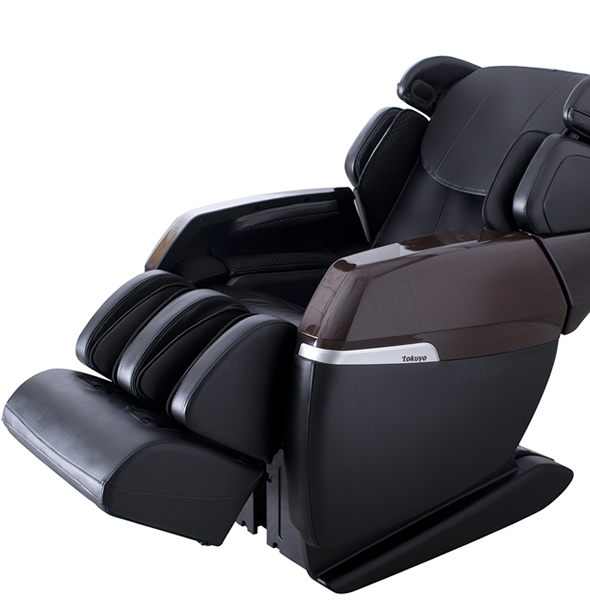 The Tokuyo TC-688 massage chair helps relieve stress and soothes muscle stiffness. A pleasant massage experience, focusing on the relaxation of the waist and hip. 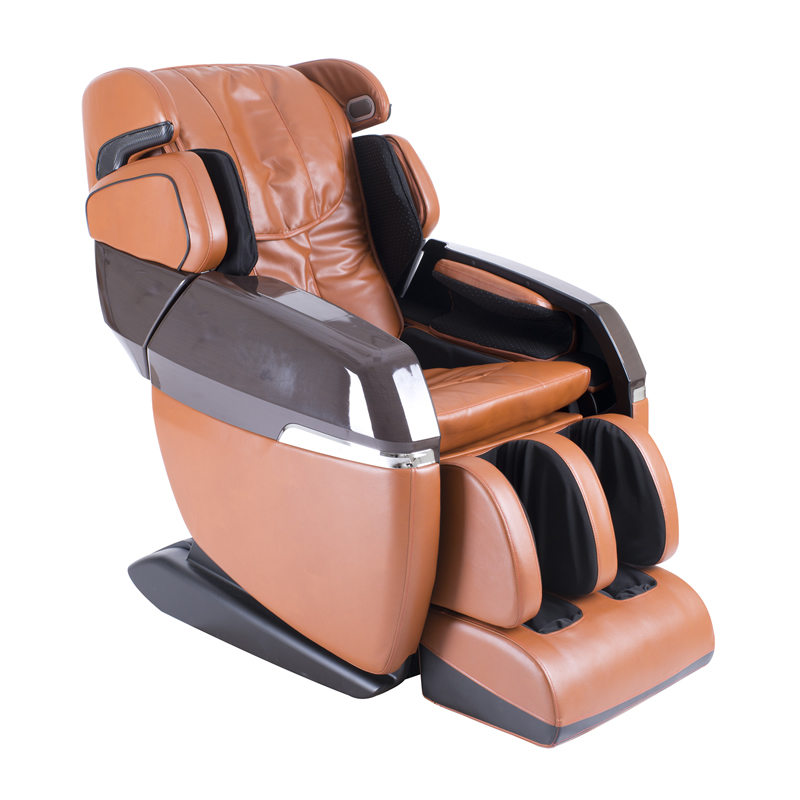 The Tokuyo TC-688 massage chair is your best choice if you suffer from insomnia, because it helps improve the quality of your sleep. Forget about your worries with these tapping and kneading massage techniques, which will relieve your pressure via stretching techniques and help improve your blood circulation. Strong 3D massage or gentle 3D massage. Choose! 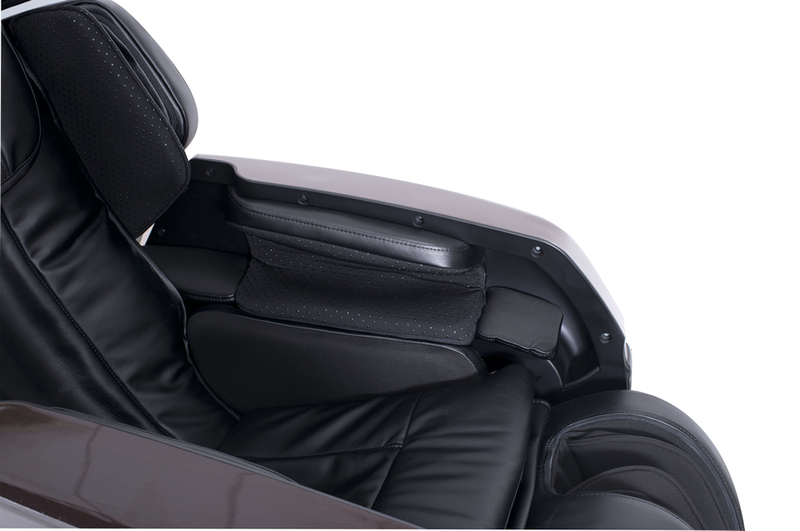 Whether you want an intense full body massage, which will restore your energy in a matter of minutes, or a gentle, light, and lengthy VIP luxury treatment massage, the TC-688 is the perfect choice for you. 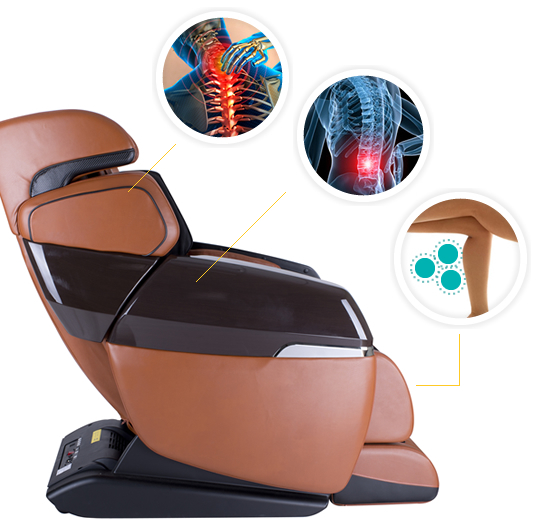 The zero gravity position massage relaxes the body, because it matches the body massage position, and by the simple push of a button, your back and shoulder blades are simultaneously brought to a zero gravity position, as low as 70 degrees, after which the chair adopts the proper massage position. The massage rollers have much better contact with the lumbar area, which allows the entire body to enjoy a proper massage position. Experience a new zero gravity massage method. 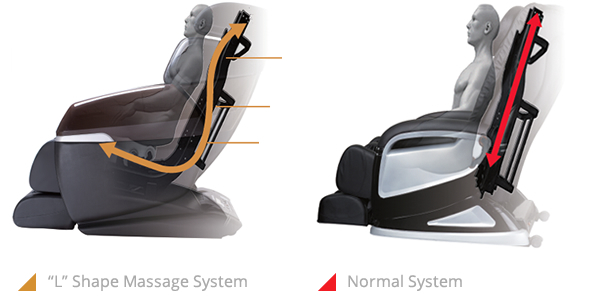 You can choose among three different massage chair positions. Airbag arm massage. Resistant materials. 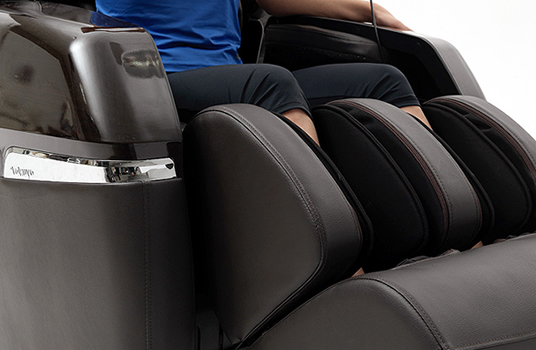 Airbag calf massage with massage rollers. Air bags wrap around your legs, ankles, and feet in different ways, providing a massage of the zusanli points (areas used in acupuncture to treat stomach stress and gastric mucosa injuries). The massage method is carried out by alternating squeeze, stop, and relaxation movements, giving you a relaxed body. You can enjoy professional music because the Tokuyo TC-688 is equipped with speakers. You can easily connect your mobile phone, SmartPhone or other electronic devices in order to play music, with the purpose of relaxing your body even more and in order for you to enjoy a perfect massage. 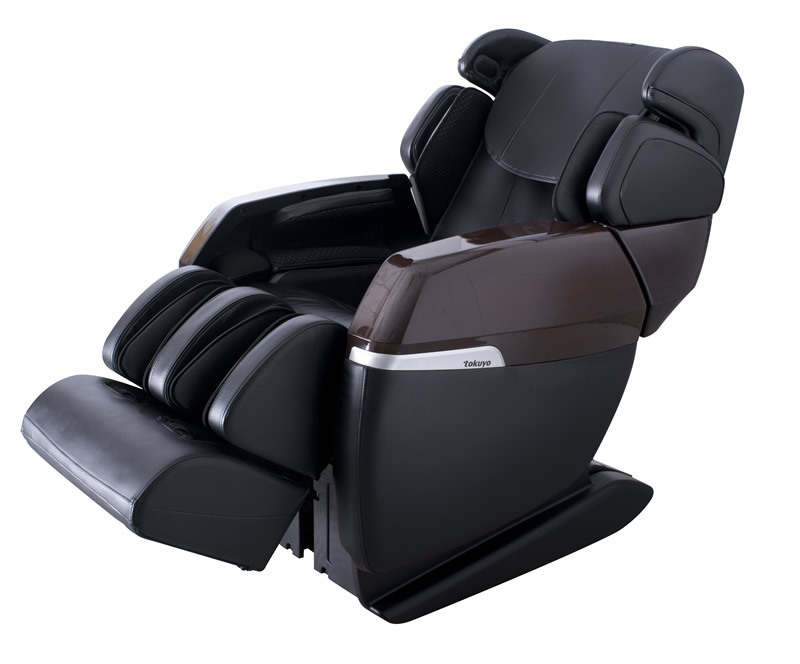 The massage chair is endowed with a special technology involving an L-shaped curved rail, which is the result of extensive research in combination with the latest achievements in this particular field. The massage area is 110 cm, which will allow you to enjoy a custom massage from head to toe, which in turn will help you maintain the natural S-curve of your spine and relieve muscle tension. Daily massage can prevent cervical spondylosis, headaches, and cerebrovascular diseases. Massage is supposed to dilate blood vessels, to help the blood circulation in your body, and to improve the myocardium’s (heart muscle’s) capacity to provide oxygen, improving the capabilities of the various heart functions. Massage can relieve stress-related problems, relaxing the body and the mind and leading to an improvement of the physical functions. The main cause for shoulder ache is inadequate blood circulation in the neck area. After enjoying an air pressure massage to the shoulder area, you can feel your pain vanish. We often use the mouse at work, which causes pain in the wrist area; however, the new generation air pressure massage can relieve the pain you feel in your wrists. 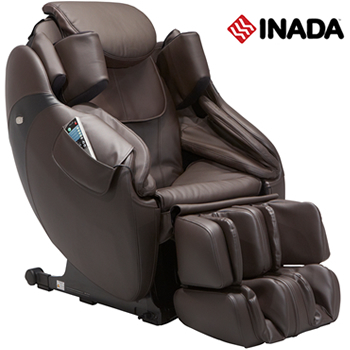 In order to increase the massage comfort level, the massage chair was designed with a detachable pad; in case you should desire a more powerful massage effect, you can remove the pad, so that you will be able to enjoy an even more invigorating effect throughout the massage. After you have finished your stressful work, you can enjoy your massage while listening to music, in order to detach yourself from your thoughts and problems, which helps promote a healthy lifestyle by providing you with extra strength. 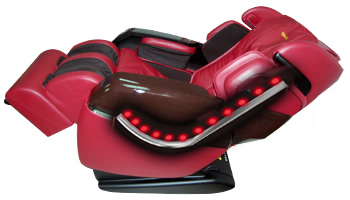 The sole massage is applied to the yongquan points, according to the convex points conceived for foot massage; designed to accurately emulate the massage technique used by professional masseurs; both the light and fixed-point massage and the progressively strong massage create a sense of comfort. 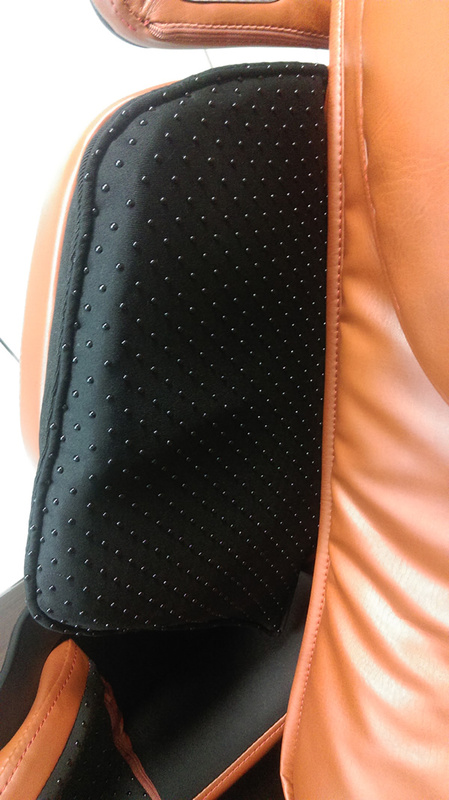 This chair uses high power airbags, distributing different air pressures from your calves to the soles of your feet, thus reducing the pressure felt in both legs and relieving the fatigue in your legs. This massage can be enjoyed using the method simulating human hand massage or by using the air pressure massage method. 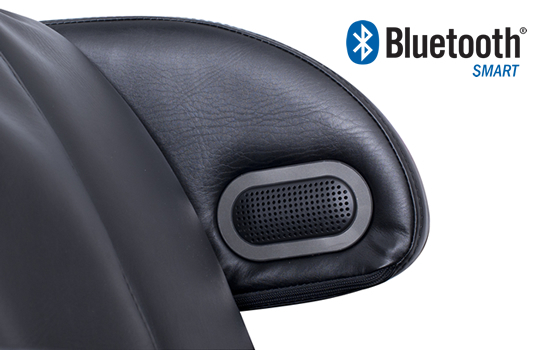 Having a precise, S-shaped ergonomic design, it accurately follows the shape of the spine. 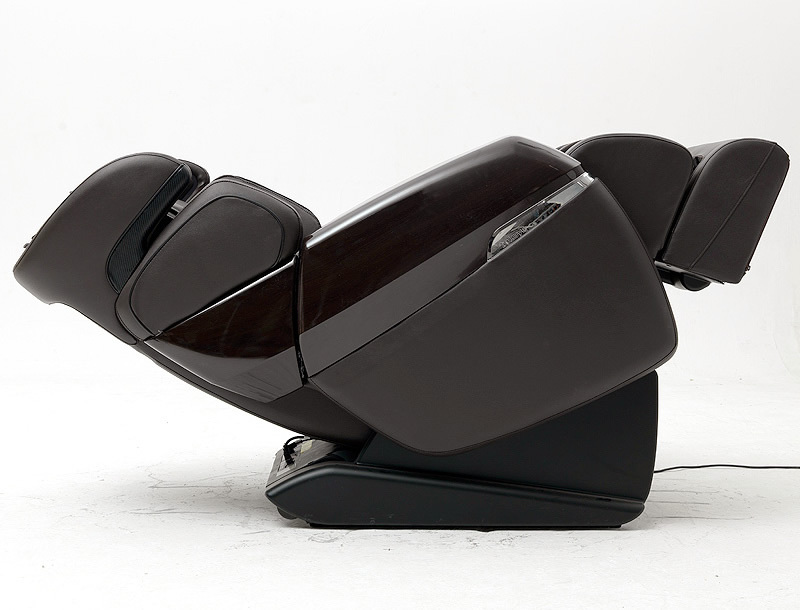 Mimics the movements of a professional masseur, completely wrapping your calves and feet. A soothing, spa-type experience. A unique combination between air pressure massage and spiral massage. Relaxes the calf muscles and helps relieve pain. A surprise gift for those of you who love foot massage; it will soothe the soles of your feet via the scraping technique. At 110 cm, the extra long rail reaches from the head down to the shoulders and from the waist down to the hips. 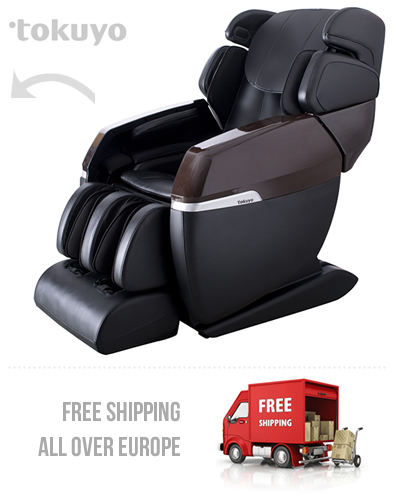 A true breakthrough in massage chair technology. The warm dressing on your hips and legs offers you an enchanting warm massage experience for your legs. Massage often leads to the relaxation of the individual, thus improving the quality of sleep and improving the physical functions. 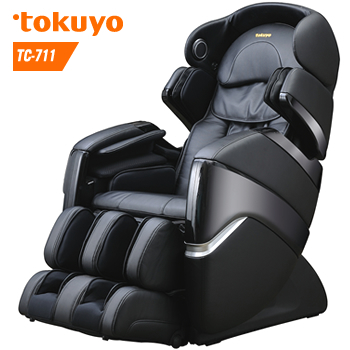 The heating function for the back and legs complements these functions, which sets the Tokuyo TC-688 massage chair apart from other massage chairs. Massage can contribute to the secondary metabolism of gastrointestinal motility, helping solve problems connected with constipation as well as other symptoms. 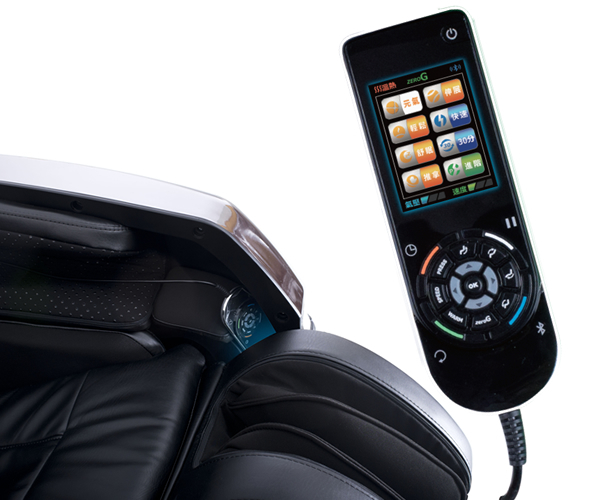 The TC-688 is equipped with an extremely easy-to-use remote controller with easy access to the buttons. The remote controller is placed in a separate pocket, which protects it from dust. The remote controller is also very intuitive and very easy to use, even without studying the user manual. 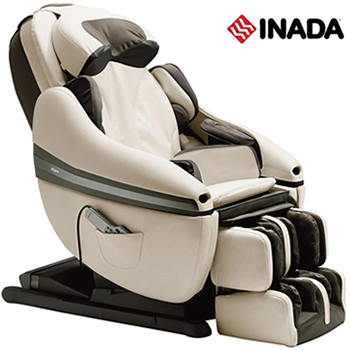 It has one of the largest display screens (5”), in order to allow you to easily see the chair’s activated functions. The procedures specific to morning massage and to afternoon massage for the improvement of sleep have the capacity to meet the physical, mental, and psychological needs throughout the day. 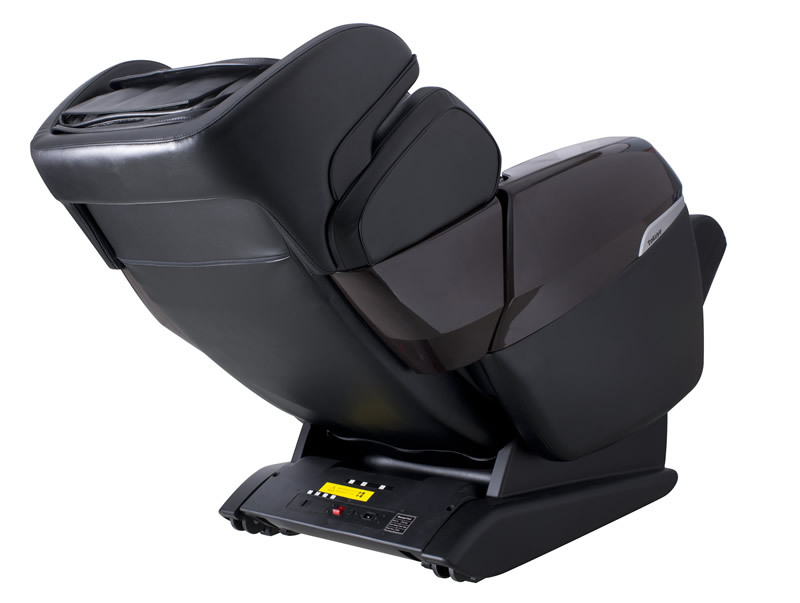 The manual stimulation massage can be adjusted in the up-down directions and it uses 4 full-drive rollers, and has the capacity to provide comfort. Rubbing massage, tapping massage, rubbing and tapping massage, area massage, and fixed-point massage. 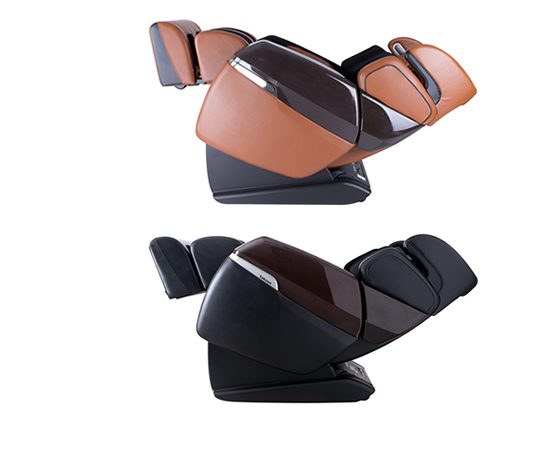 Designed to emulate rubbing massage with the aid of the thumbs, its purpose is to rub the selected massage area. 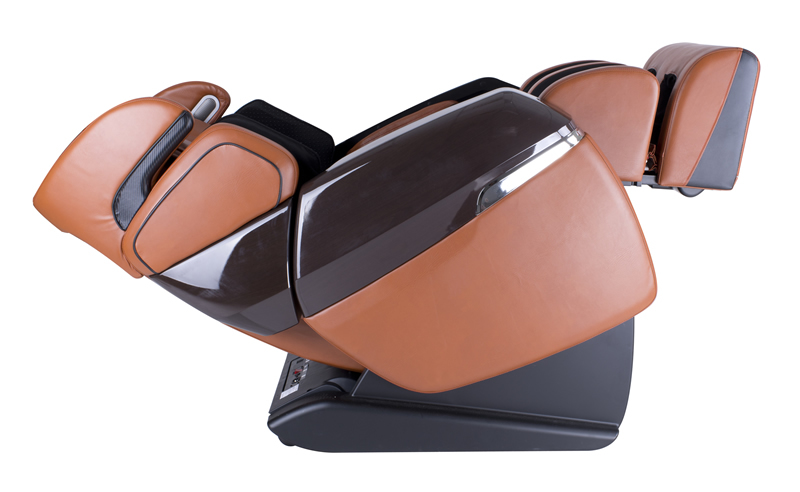 With adjustable tapping speed, it can offer different types of massage according to your needs. It can do rubbing and tapping simultaneously, thus offering a massage of variable intensity, depending on each user’s individual needs. 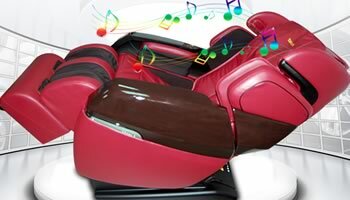 Allows you to select different areas and can be enjoyed in different positions. When the massage rollers move up or down, the selection key can be “held” in order to achieve a massage for a particular area. The movement of the massage rollers has three speed options and three width options. Adjust the roller width in 3 steps: narrow, medium, and wide. Massage intensity can be adjusted according to the massage area. Massage intensity can be adjusted in 3 steps. 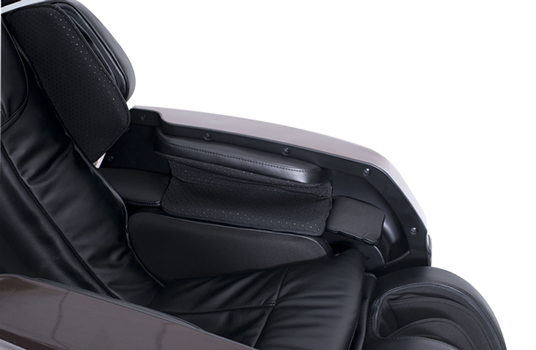 Massage with added heat – turn the massage chair heating function on or off. 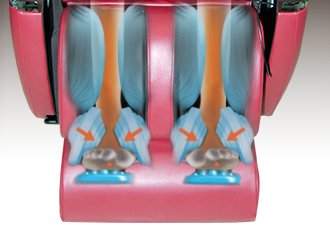 Massage rollers for the soles of your feet and for your calves – turn on or off the sole and calf massage function. Full back massage Yes. "L" shaped. Massage rollers for the calves Yes. 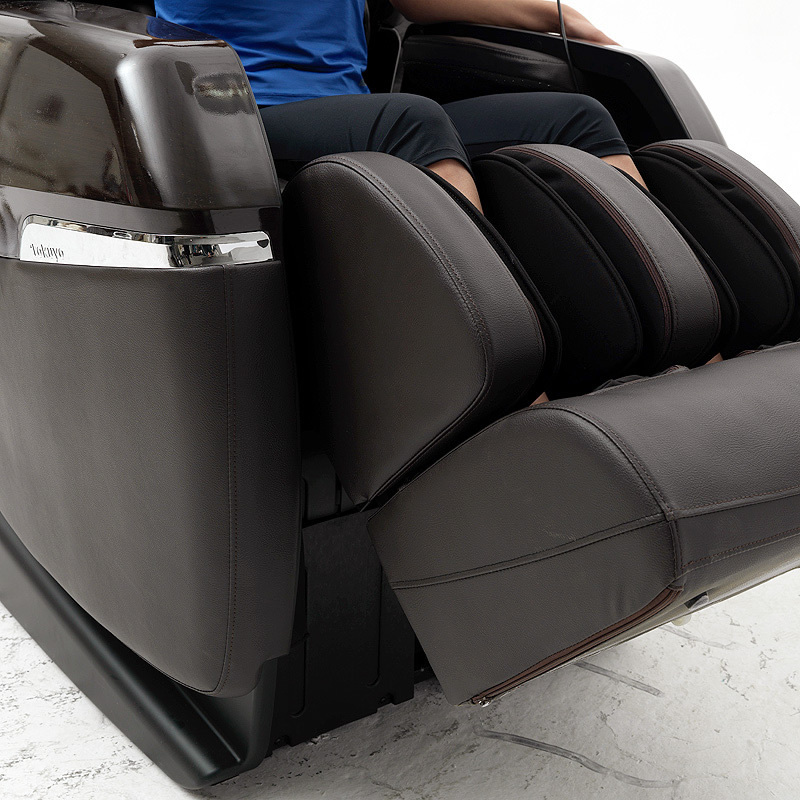 The only massage chair with massage rollers for the calves. 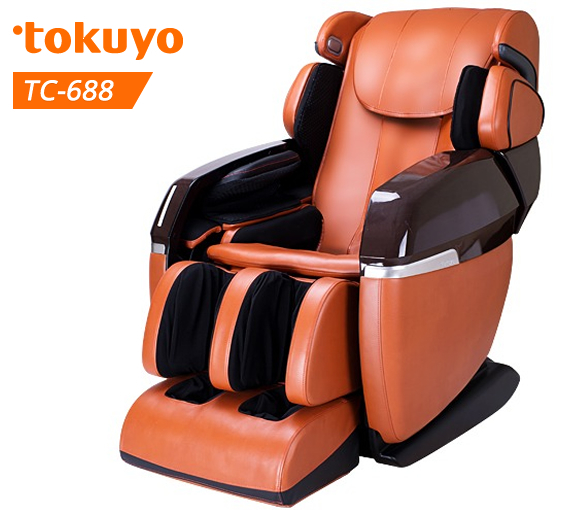 Other colors available for the Tokuyo TC-688 massage chair. What do customers say about the Tokuyo TC-688?